This is a view of the outer walls of the magazine with a portion of the European cemetery on the left. 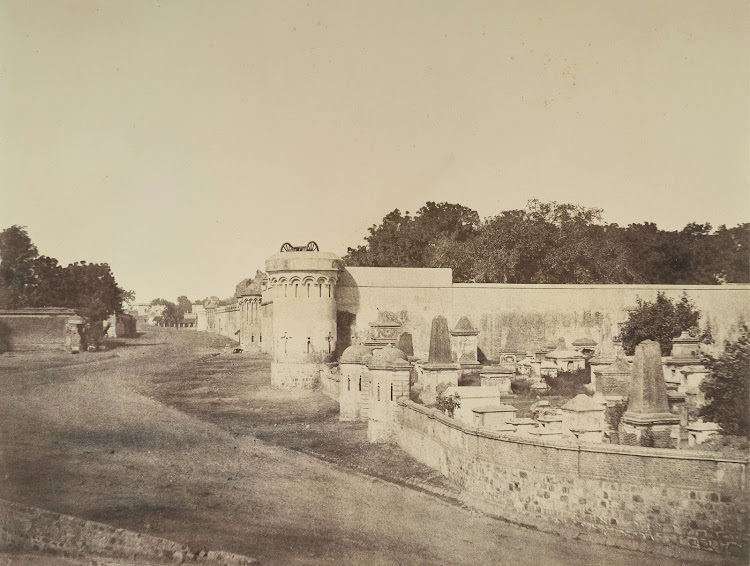 To the north of the Red Fort and close to the Kashmir gate was the powder magazine of Delhi, containing vast quantities of military stores including gun powder. At the start of the Uprising on 11th May1857, the insurgents demanded the surrender of the magazine. An encounter began but the small number of British protecting the magazine unable to defend it fired a train of gunfire which lead to an explosion killing many of the insurgents.